The spread of anti-Russian security paranoia has led to a surge in all kinds of defense initiatives against Russian "threats" across Scandinavia. In Finland, plans to re-militarize the Åland Islands, which are known as "Islands of Peace" after having been demilitarized for 160 years, have triggered a hot debate. Last week, Finnish Defense Minister Jussi Niinistö of the Finns Party launched a round of discussions on the special status of the Åland Islands. According to Niinistö, the demilitarized status of the archipelago makes it difficult to set up a proper defense. Niinistö also compared Åland's strategic importance with that of the Swedish island of Gotland, which recently saw a dramatic re-militarization as well. "As a demilitarized region, Åland represents a military vacuum. It is susceptible also to restricted, swift operations conducted by small units," Niinistö wrote in his blog, citing the possibility of "little green men" appearing on the string of Baltic islands, which he described as "a gateway to the Gulf of Bothnia" and "a control point of the Baltic Sea." According to Niinistö, the historic demilitarization of Åland does not reduce security risks, but rather aggravates them, Finnish daily Hufvudstadsbladet reported. — Dépêches nordiques (@Fil_Scandinavie) 17 октября 2016 г. 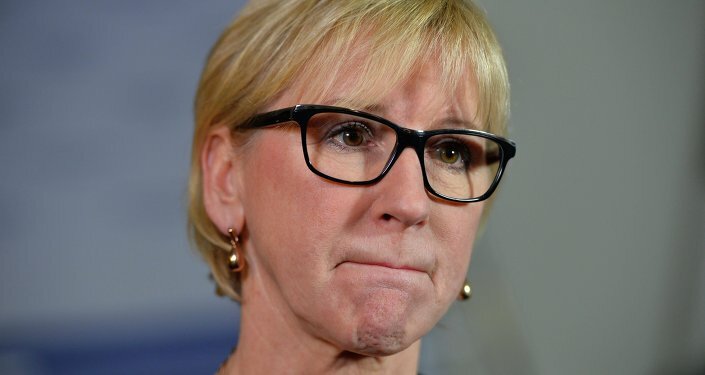 ​"Åland staying out of possible armed conflicts is, to put it kindly, a naïve idea. It is an idea that is certainly not supported by history," Niinistö explained, possibly alluding to the Åland Crisis, when Swedish, Finnish, Russian and German troops landed on Åland in 1918, following the break-up of the Russian empire. Niinistö's concern was echoed by Charly Salonius-Pasternak, a researcher at the Finnish Institute of International Affairs. "The central problem is that Finland has committed itself to defending the Åland Islands, but has nonetheless not prepared any defense," Salonius-Pasternak argued. — Johanna Suomela (@JohannaSuomela) 4 августа 2016 г. ​Meanwhile, Niinistö's proposal triggered criticism in Finland's political establishment. Changing the status of the demilitarized Åland Islands can lead to increased international tensions, former Foreign Minister Erkki Tuomioja told Finnish national broadcaster Yle. "I believe that Niinistö's statements are dangerous scare-mongering towards our citizens," Erkki Tuomioja said. President Sauli Niinistö pointed out that Åland's status and military position is defined by international agreements and cannot be amended unilaterally, Finnish daily Hufvudstadsbladet reported. Under the agreement, brokered by the UN's forerunner the League of Nations, Åland is demilitarized in peacetime and neutral during war. According to Sauli Niinistö, the issue of re-militarizing Åland must first be discussed with locals. He also waved aside the potential Russian threat against Åland. "Ålanders would have noticed anything strange in their environment. I have not heard anything in that direction," President Niinistö said. So far, the islanders themselves have been unimpressed by the Finns Party's belligerent rhetoric. According to Åland MP Mats Löfström, Jussi Niinistö's statements were counterproductive and may damage the somewhat fragile relation between Åland and mainland Finland. According to Löfström, the re-militarization of Åland would increase tensions in the Baltic area further, Finnish national broadcaster Yle reported. The idea of re-militarizing Åland was also blankly refused by Finnish Prime Minister Juha Sipilä of the Center Party. With a population of roughly 30,000, Åland is Finland's only region with Swedish as the single official language, as well as the one of the country's wealthiest regions. Following the break-up of the Russian Empire, sovereignty over Åland was retained by Helsinki, despite the residents' almost unanimous desire to be incorporated into Sweden. By law, Åland is politically neutral and entirely demilitarized; its residents are exempt from conscription to the Finnish Defense Forces and enjoy a broad autonomy. — Pia Johansson (@Pia1Joh) 19 октября 2016 г. ​Åland was first demilitarized as a concession to Russia's Crimean War adversaries in 1856. Åland's then foremost fortress of Bomarsund was destroyed by British and French warships in 1854. In 1922, an agreement on the demilitarized and neutral status of the islands was signed by members of the League of Nations. In 1940, a separate agreement was concluded between Finland and the Soviet Union. Since then, a consulate of the Soviet Union and later Russia has been present in Saltvik, Åland, to oversee Finland's obligations regarding the island's demilitarization. — Eric (@EricInAdelaide) 28 августа 2016 г.